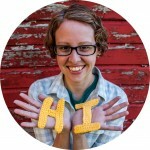 It’s time for a confession…I’ve been cheating on my crochet – with knitting! I know, right? I really don’t understand why knitters and crocheters are the craft version of the Hatfields and the McCoys, but somehow I feel like I have to apologize for picking up needles. Personally, I blame dumb TV shows and commercials where folks are making granny square with knitting needles (held like weapons, of course) and ribbed sweaters with crochet hooks (although that can be done, but not the way they’re doing it). It gets us all riled up and we take it out on our poor fellow crafters. So yes, like everyone else in the US, I blame all my problems on the media. 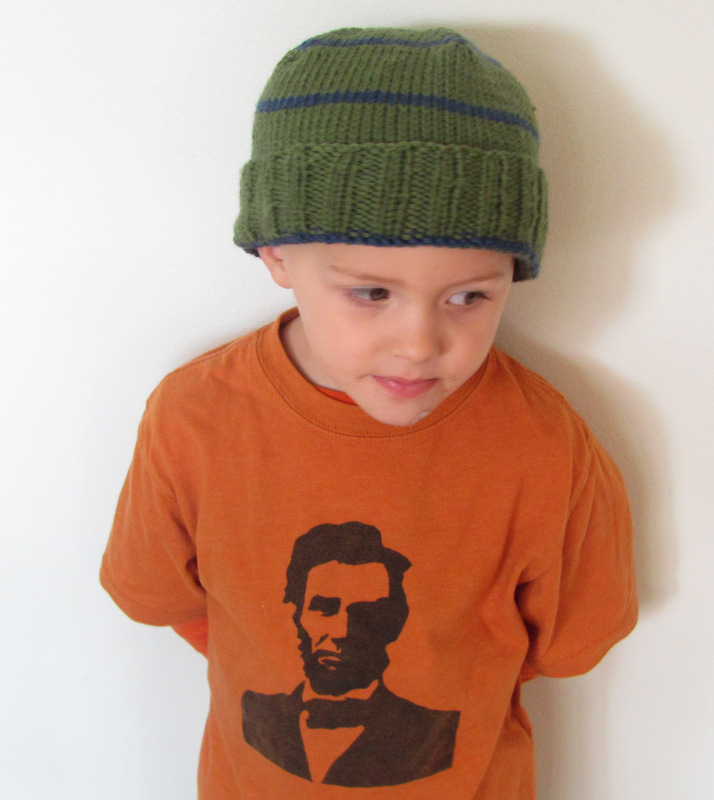 So I made Babes one with the leftover yarn (yep, I still had the yarn). He’s very into “matching” right now, so the timing is perfect. BTW – Babes has been secretly working on his “Ravelry face”: the chin-down-look-away. Some day you’ll see him on Sad Etsy Boyfriends, and you’ll know he started here first. In case you’re looking at that ribbing and wondering: “Does Jenny Brown think she’s good at knitting?” No, no I don’t. I haven’t put in enough hours to consider myself anything more than a beginner, but I’m OK with that. That’s why I started the ribbing of hat number two, which I will be donating, in super dark grey – see any mistakes? Nope, me neither. I’d like to admit 1. I had to pay him a quarter to model this hat and 2. This hat fits me. Actually, so does Babes’ hat. These kids just have big, cute heads. I improvised the design with some leftover Cotton-Ease. The hat is off to Emily’s Hats for Hope, which was started in my new home, NJ, by a 17 year old. Since 2011, they’ve donated over 15,000 hats to people who are homeless or are living in low-income communities. They also mentor groups in the US and beyond, so check out their list for a group near you. And now I can mark her off my Christmas list. I mean, really, it’s just too cute on her. I promise to make another one to donate soon. 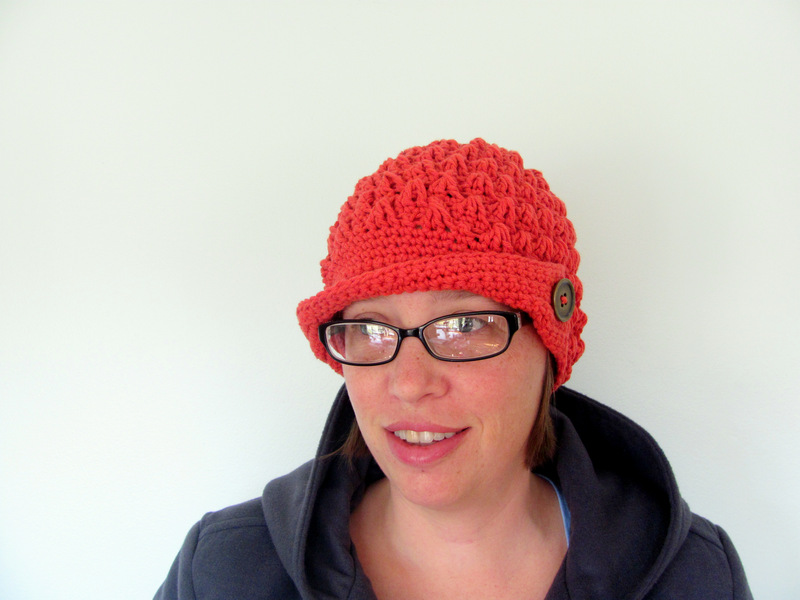 The pattern is the Women’s Peaked Cap by Yarnspirations, and it works up super fast once you get the front-posts down. Be careful when choosing a pattern – most organizations have specific guidelines about the types of hats they will accept. Some organizations prefer really dense, warm hats. 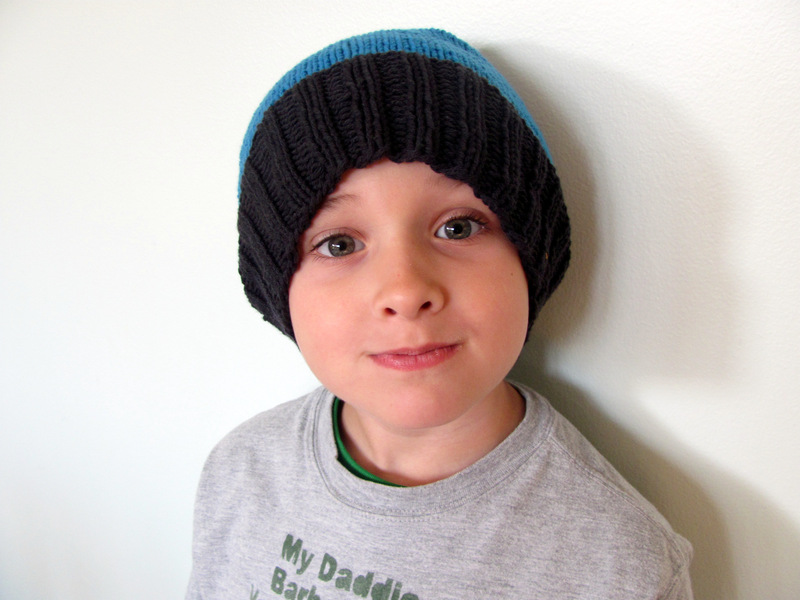 Others, especially those for cancer patients who may be wearing hats indoors, prefer light-weight, patterned hats. The good news is that most sites have their own suggested patterns, so it’s a great chance to try something new. Think about teens, men, and older women – everyone loves to crochet a teeny, fuchsia baby hat: definitely make one of those. 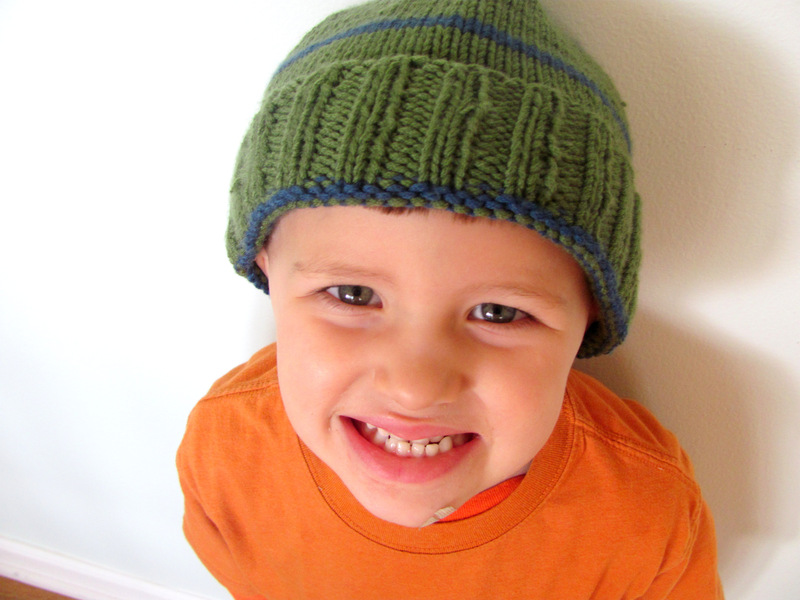 Then, make a plainer, larger hat that someone older and less flashy will love to wear. And don’t forget about those big-headed kids! 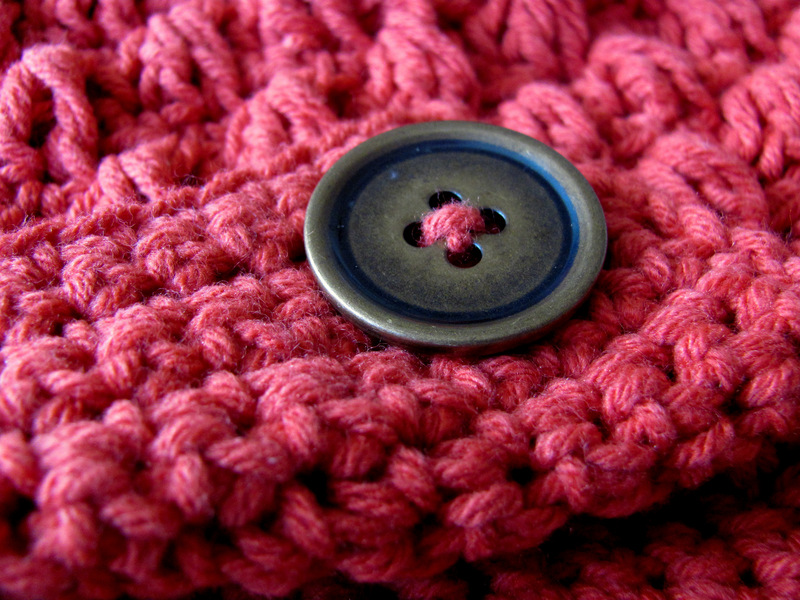 Your Local Women’s Shelter – many shelters accept donated hats for the women and children they serve. Use womenshelters.org to locate an organization near you, then email them or check their website to find out if they accept donations. Now get your hooks and needles out and live every week like it’s hat week. Thanks, Jen! Maybe we’ll get you knitting and crocheting some day! It’s not your technique with the ribbing, it’s the nature of purling and knitting and going from one to the other. The right line is loose because you went from a knit to a purl, try snugging the yarn up when you do that first purl after a knit. It might even even out with blocking and wearing. 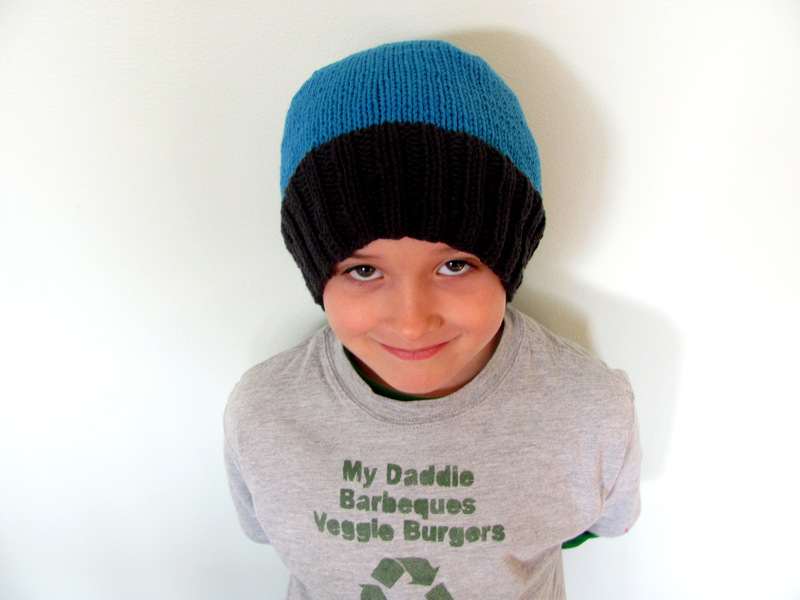 As to animal fibers, there are soft, oh so stinking soft!, merino wools that are superwash, so easy care and no itching. Most people are not allergic to wool, they just remember the itchy wools of old and think they are allergic to it. Most people who have allergies to wool are affected by mohairs or other wools that have fluff which gets into their air passages. 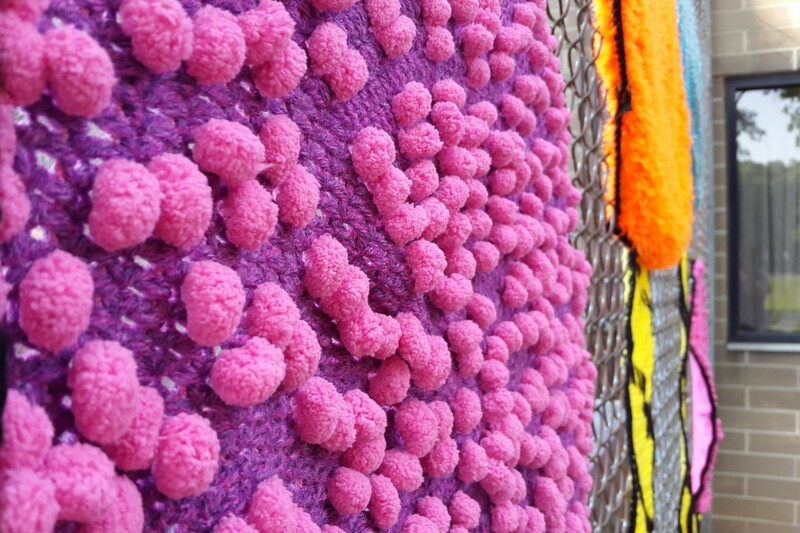 Homeless people would benefit from the warmth qualities of wools over acrylics. Hi, chrisknits! Thanks so much for your comments and the knitting advice – I have been trying to snug up a bit, but I’ll get a little more aggressive with it! I was a little too hard on animal fibers, wasn’t I? (Even though, to be fair, they take every chance they can get to wreck havoc on my respiratory system ). I amended that section to better reflect the policies of the charities mentioned. Thanks again!